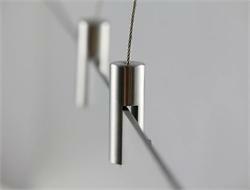 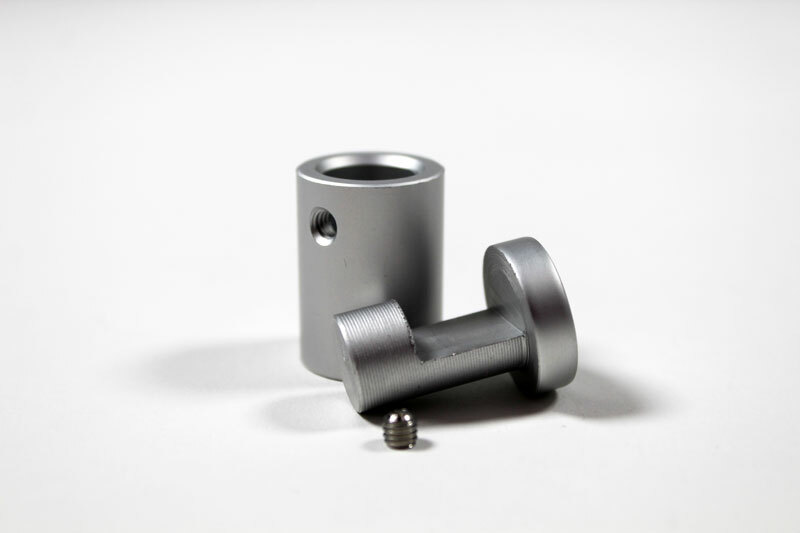 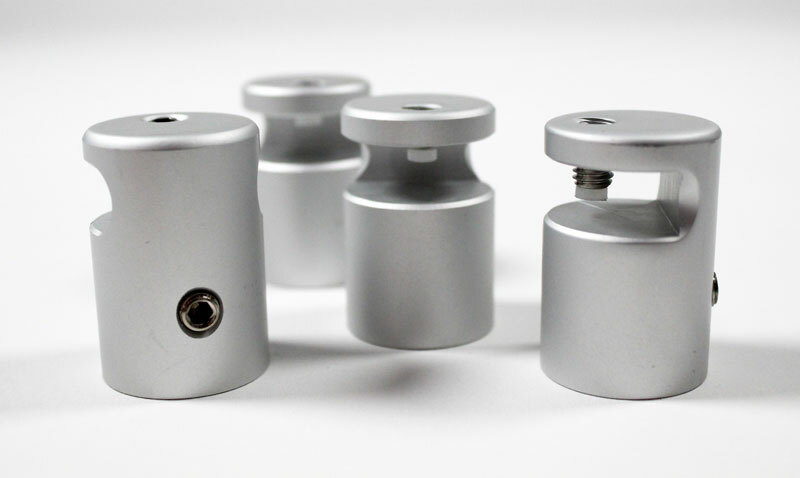 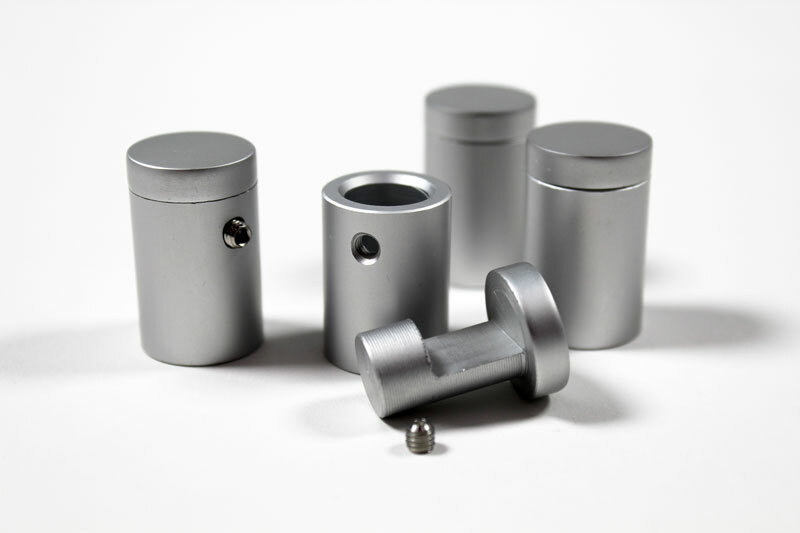 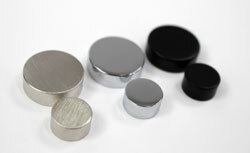 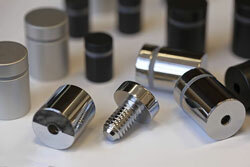 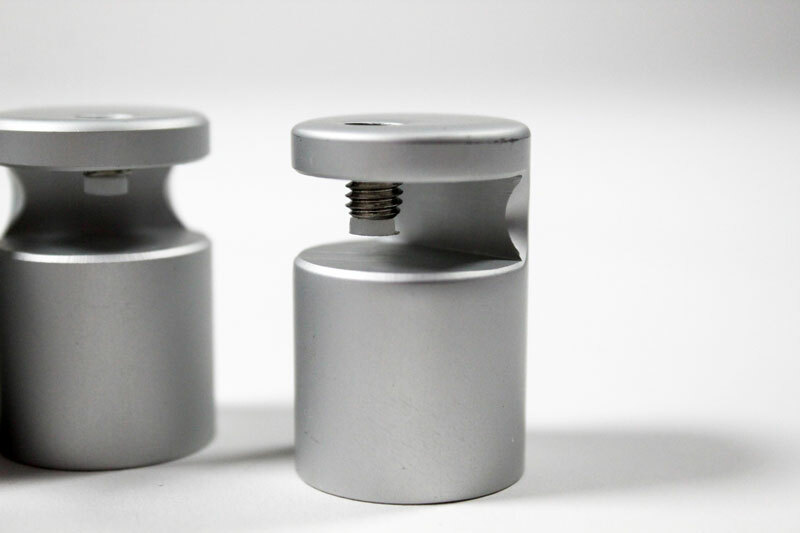 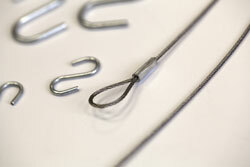 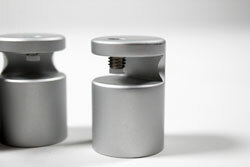 Satin silver aluminum side clamp standoffs are the perfect finishing touch for any sign! 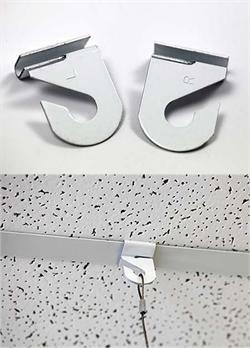 These metal clamps grip the edges of your sign so no holes are required in the sign itself and provide some dimension between your sign and the mounting surface. 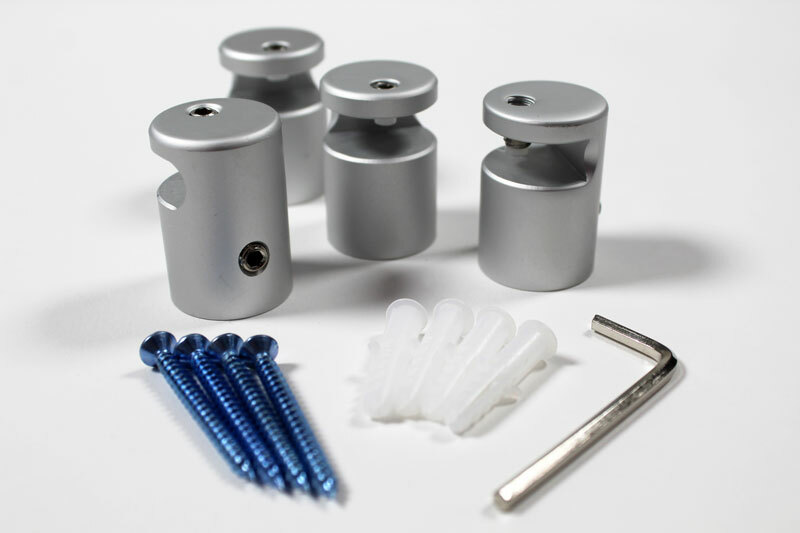 These aluminum sign mounting brackets are available in two sizes: 0.75"D x 0.98"L (for substrates .078" to .354" thick) and 0.98"D x 1.46"L (for substrates .039" to .314" thick) and are sold in packs of 2 or 4. 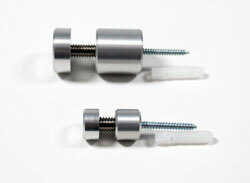 Screws and drywall anchors are included.